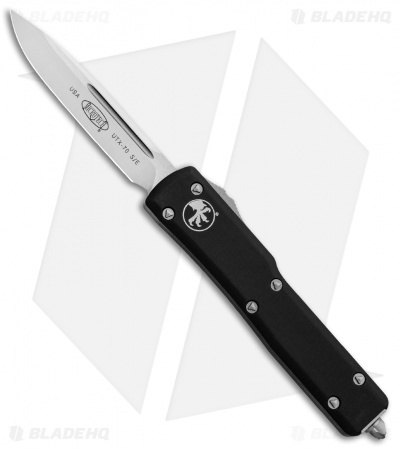 The celebrated UTX-70 OTF automatic has been updated with a smooth contoured handle and Bohler M390 blade steel. It features the same great build but with a stylized modern update. 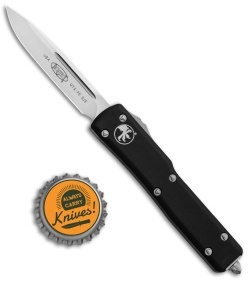 This model is built with a satin finished M390 blade and a black contoured alloy handle. Are you looking for the most compact out-the-front automatic knife on the market? Well then you've found it! The Microtech UTX70 fires in and out automatically via the sliding firing button on the knife's right side. The super small size (less than 6" overall) is perfect for EDC and concealed carry. 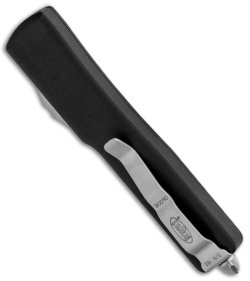 Item includes a glass breaker and a stainless steel pocket clip. The knife is tiny, at first I was a little shocked on how small it actually was..I thought it was too small. Then I carried it for awhile and realized how great it actually was! Yes it’s small but that’s kind of the beauty of it! I’ll probably get the next size up too. 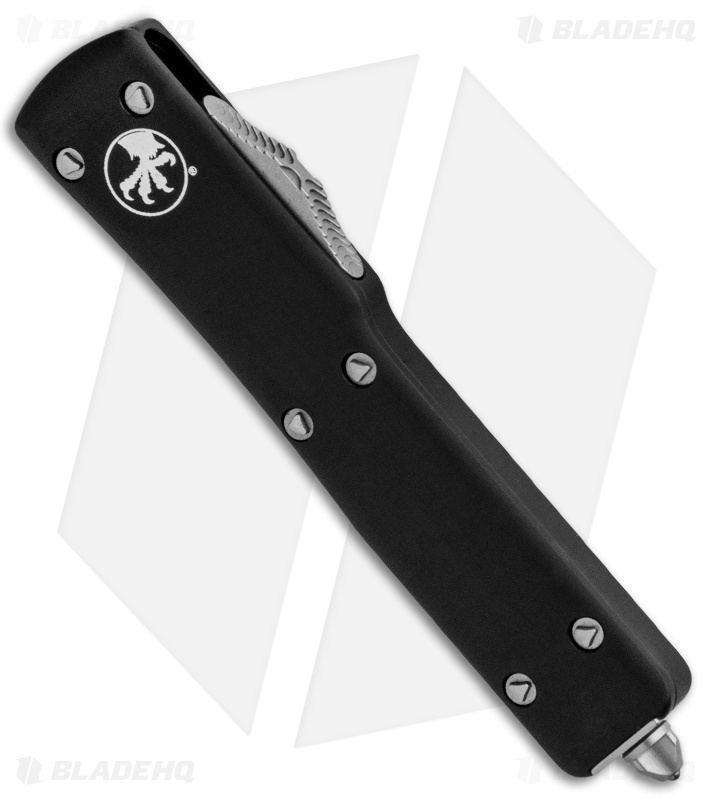 All the snappy goodness of a Microtech OTF in a tiny, lightweight package. The quality is right on point with my UTX-85. It disappears in your pocket and came absolutely razor sharp. Grab one while you can!